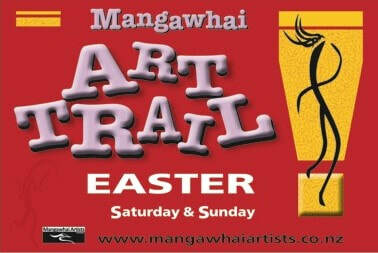 Below you will find information on the artists participating in the Mangawhai Easter Art Trail. Pauline's artworks are created with big brushes and energetic brushstrokes and always painted while standing to allow freedom of movement. 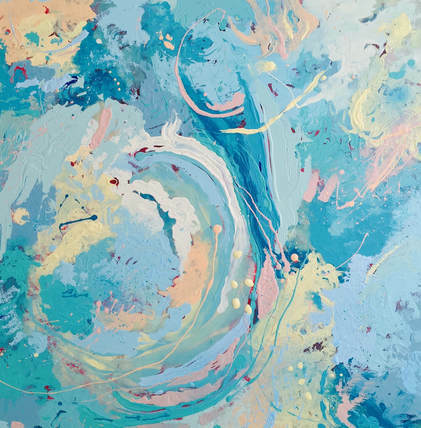 An award winning and prolific oil and acrylic painter, Pauline's works make a bold statement . Wendy Leach‘s new works have intentionally changed direction from the paintings that defined her as an artist over the last 2 decades. 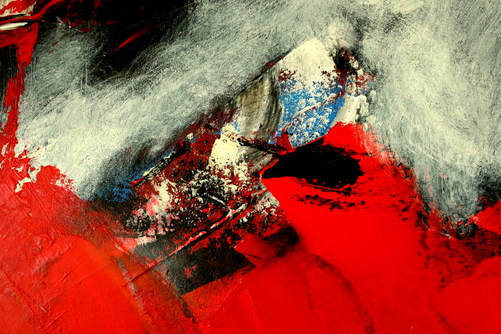 Wendy’s new works explode with abstract energy, new vigour and freedom. . The work on display from these four artists will include watercolour, acrylic, pencil and alcohol ink paintings including landscapes, seascapes, abstract, portraits and fantasy work. 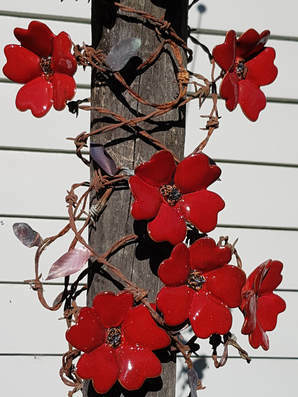 Wayne Whyte "Garden Art in Steel"
Botanical and Pacifica designs in Corten Steel. 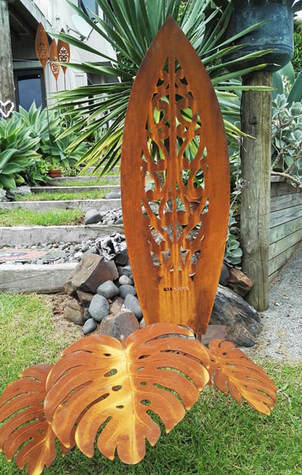 Koru Spears and Paddles, Stingrays, Botanical Leaves, Kia Kaha Surfboards. 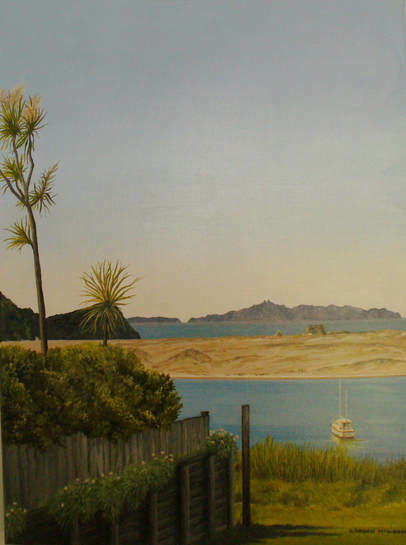 Rosina is an artist and tutor working from her home studio in Mangawhai. 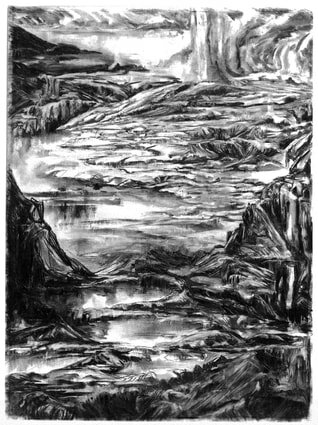 She specializes in drawing, printmaking, painting, installation and artist’s books. Please note: Rosina’s studio is open Saturday only. 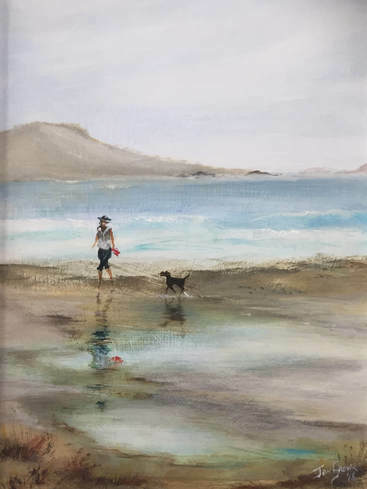 Kevin has a passion for coastal themes and works with oils, acrylics and watercolours. 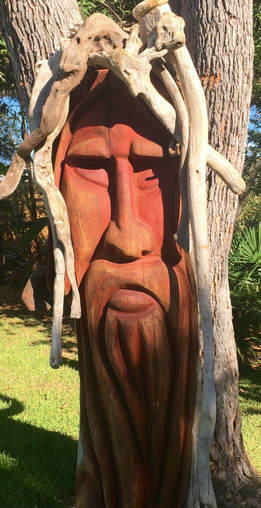 He shapes and moulds canvas over and around driftwood and other materials to create unique artworks. 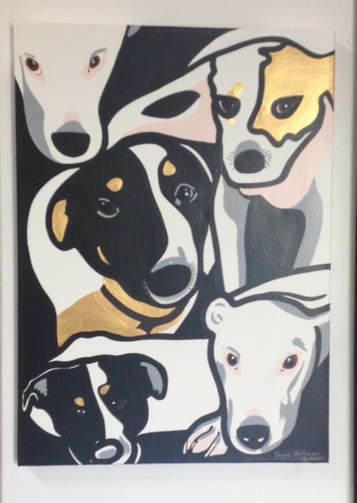 Come and explore Sarah’s wide range of artworks. Kiwiana inspired, abstracts, word art, mixed media, original paintings, prints, wood, glass and ceramic pieces. 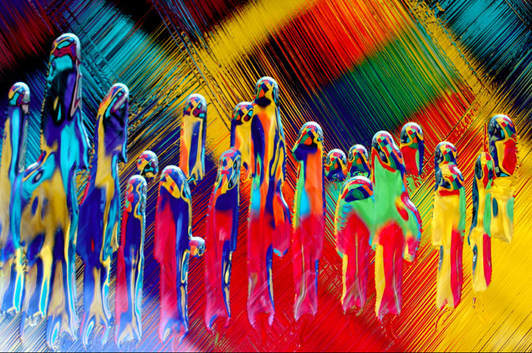 Jeanette Vickers is an experimental photographer, producing bright energetic and exuberant photos. Larry Park spends hours searching driftwood beaches looking for special gems of driftwood. Hidden beneath the worn exteriors, the woods glow with their own unique qualities. With his artist’s eye Larry draws out the images that lie within. You can enjoy the relaxing on the lawn with jazzy blues sounds of Raw Jam, and other visiting artists, playing periodically through the day. Lindsay is an abstract artist who recently moved to Mangawhai Heads. Lindsay's artwork is process based. He draws inspiration from Zen principles and eastern calligraphy. Elena and Gayle share a passion for En Plein Air painting. 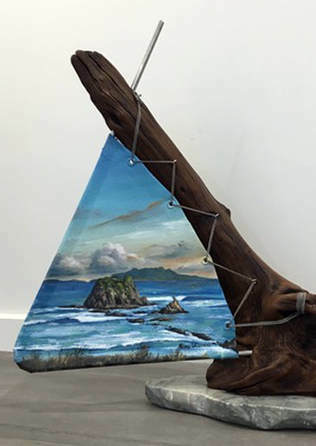 Both of them are inspired by the spectacular New Zealand nature; land and sea, forest and beaches and the birds that survive in these environments. Johnnie uses pencils, airbrush, and razor blades to create realistic and surrealistic images that capture the eye as well as the imagination. His realist pieces will often draw you towards them with his use of contrast, range of values, and high level of detail. 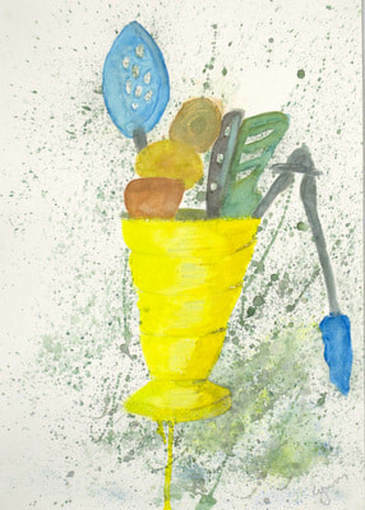 Jan’s love of painting has been inspired by recent watercolour workshops with Australian painters John Lovett and Chan Dissanayake. 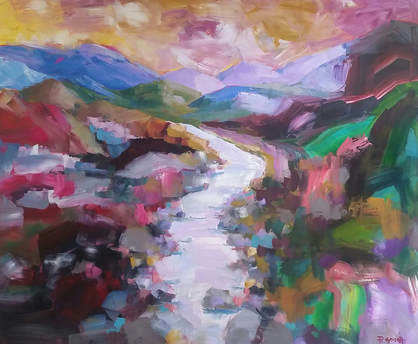 She is now exploring mood and atmospheric effects, using dry brush and glazing techniques in acrylics and inks to reinforce the tranquillity and peace found in her latest works. 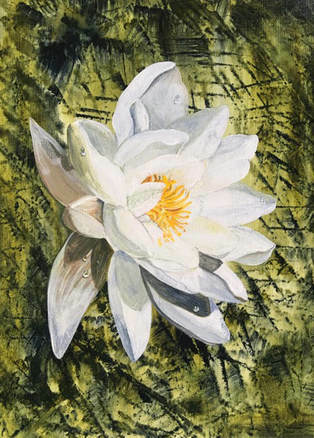 Enjoy the distinctive range of art from six women artists. You will see a rich offering of lovely, interesting and vibrant images of birds, land and seascapes, plants, still life and New Zealand icons. Angela Buchanan is a Kiwi artist who established her commercial art career completing her apprenticeship as a traditional signwriter. Angela now focuses her attention on incorporating her hand-brushed signwriting skills into her artwork. Barbara has worked with clay for 55 years, using mainly textures in her work. She studies the Sogetsu School of Ikebana (Japanese flower arranging), and this long-time interest has given her great delight in the making of pottery flower containers. Angella's natural love of flowers has inspired her pottery, and her upbringing on a farm has influenced her creation of mixed media art. She works alongside husband Arran, at their King Road studio on a lovely nine-acre lifestyle bush block. Having been a full-time potter most of his life, Arran works at it now only part-time. He still enjoys the chance to make pottery when he can and this work is influenced by his passion for fishing and the natural bush setting he works out of. Daphne moved to Mangawhai in 2005 and has been inspired by the natural beauty of the environment. 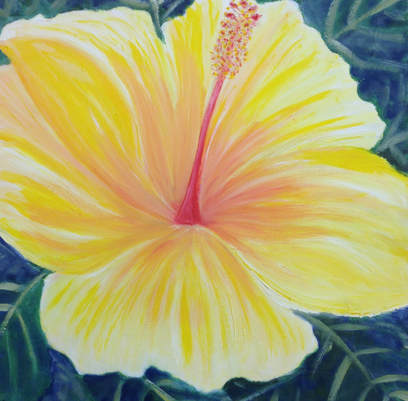 Her subject matter varies from landscapes, water, animals, and flowers, to abstract work. Gordon is a self taught artist returning to art since his retirement. 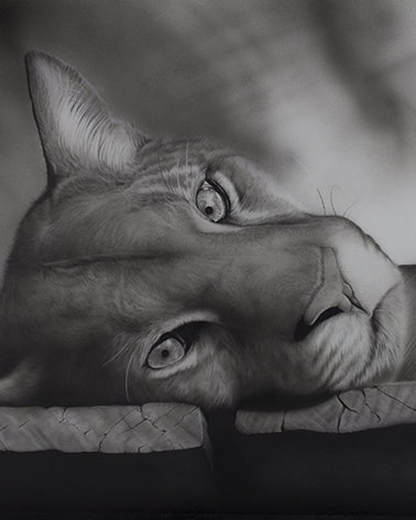 Mainly painting in acrylics, his style is realism and landscapes. You will see lots of local scenes that are easily recognised. 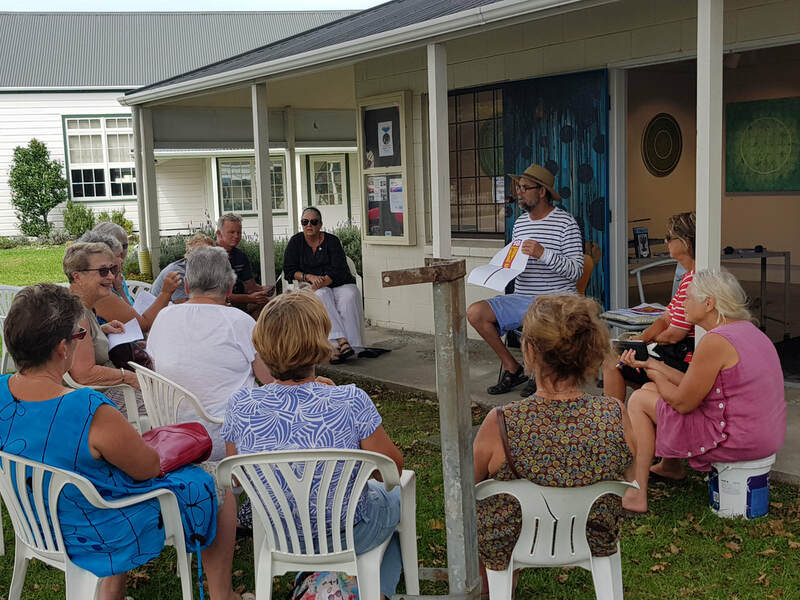 On February 19 at the Mangawhai Artists Gallery, an afternoon briefing session was held to plan for the Mangawhai Art Trail at Easter. Concept examples of a new Art Trail guide book and map and site signs were shared. ​Guide books will be available two weeks ahead of the Art Trail. 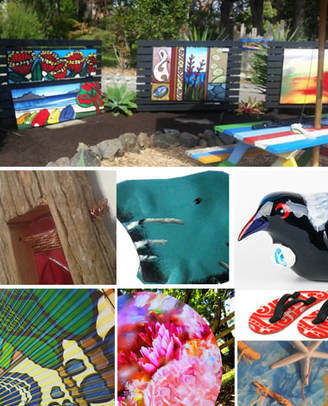 Now that we have received artists' registrations for the Art Trail, check out this website, and also Mangawhai Art Trail Facebook page for updates on which Mangawhai artists will be opening their studios during Easter Weekend. 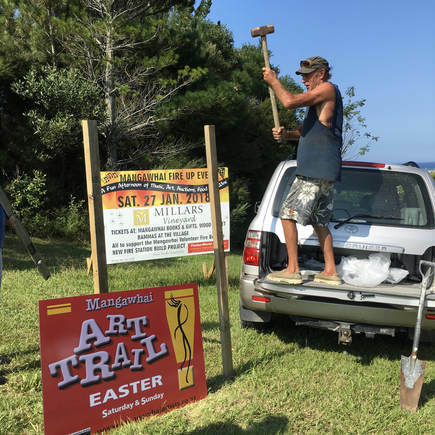 Our Art Trail signs are going up! ​Photo shows MAI member and artist Lindsay Blanchett-Burton putting up a sign for our Easter Art Trail. Mangawhai Artists Inc promotes wide engagement and frequent displays of art in the community. 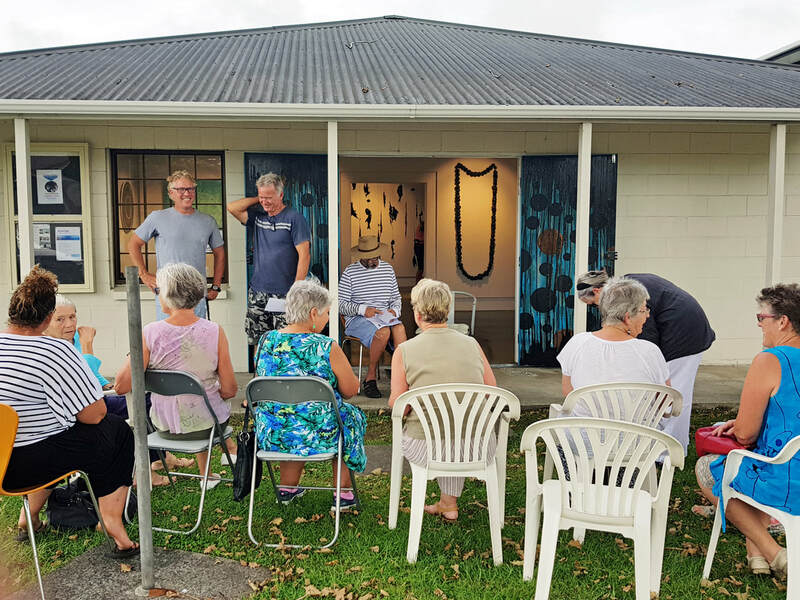 As well as displaying their work through the Mangawhai Artists Gallery in Moir Street, many artists participate in our Art Trails held during each year, At Easter each year we coordinate the well-loved Mangawhai Art Trail. Maps and information are available at the Gallery and on the website. The Art Trails allow all full member artists to participate and engage with the public without the demands of a full Gallery exhibition. Mangawhai Art Trails feature something for everyone including painting (oils, acrylics and pastels), ceramics, hand-crafted furniture, jewellery, one-off funky clothing, corrugated iron art, photography, pottery, printmaking, wood carving, sculpture (wood, soft stone, ceramics) and outdoor art. Artists enjoy feedback from visitors and some visitors purchase awesome art to take back home. ​Preparation for Art Trails stimulates artist innovation and experimentation.